A little bit of luxury doesn’t make it less of an adventure. I had been traveling through India for five months. I’d been on motorcycles and in rickshaws, trekked through rice paddies, invited to a traditional wedding, hung out with a baba in a Banyan tree, and explored sacred temples—all while sleeping on straw mats and on floors, showering by bucket in cinderblock bathrooms. Headed to Agra for the obligatory Taj Mahal visit, I decided it was time to splurge on a room in a colonial mansion-turned luxury hotel, and upon arrival was upgraded to a room with marble floors and stained glass armoires, and a claw-foot tub. When my head hit the feather pillow that night, I felt as if I’d gone right to heaven. Adventuring doesn’t have to be barebones. It’s OK (even healthy!) to treat yourself from time to time. In fact, sometimes gifting yourself a little bit of luxury can help you to sink into the present moment more fully than you would otherwise be able to. Luxury doesn’t have to mean marble floors and colonial mansions—even festivals can be luxe experiences. There are plenty of ways to do Wanderlust on a budget (looking for those options? We’ve got you covered), but if you’re looking to splurge a little and give yourself the gift of Wanderlust-in-style, that’s available too. Premium ticket packages are available for all US and Canada festivals. What’s included with a premium pass? Read on to find out. It’s true—no premium experience would be complete without finishing touches that make it truly special. When you get to Wanderlust, you’ll have access to an on-site concierge service, who can help any of your random Wanderlust dreams come true as you think of them. Your favorite yoga teacher consistently teaching to crowds in the hundreds? With a premium package, you’re invited to a private yoga class with headliner talent, where you’ll have intimate access to the teacher and a singular yoga experience. 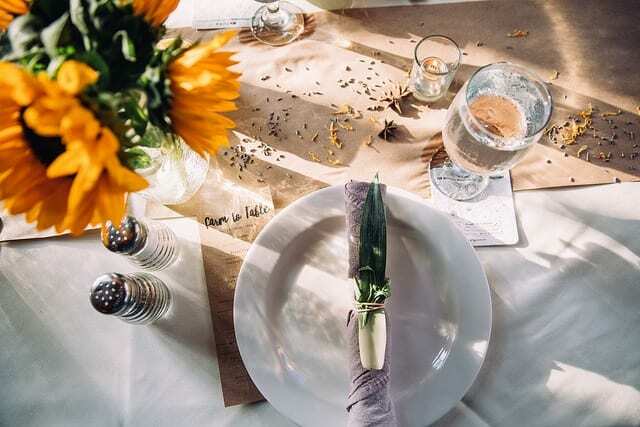 Weekend evenings at Wanderlust boast special hospitality events: a gourmet cookout on Friday, and a “happiest hour” on Saturday followed by a Farm to Table dinner (Sea to Table at Wanderlust O’ahu). Each event requires a separate ticket when you’re holding a regular festival pass, but all are included with a premium package. Gather around the grill with your community at the cookout, with plenty of vegetarian and vegan options. Raise a toast to biodynamic and organic adult beverages overlooking the mountains as the sun sets on Saturday, and then enjoy an exclusive menu prepared by Wanderlust chefs. Each farm-to-table dinner is concocted with the specific festival ethos in mind and sourced from hyper-local farms and vendors. Feel fancy—and know you’re being a responsible diner while feeling it. Once you purchase a ticket to Wanderlust, you’ll have access to a schedule so you can plan out your best weekend ever, selecting classes and workshops with world-classes teachers, leaders, and experts. Activities are limited by type—you can only sign up for a certain number of yoga classes per day, for example. Signing up for a class beforehand guarantees entry. With a premium ticket, you can sign up for as many of the same activities as you’d like. Just need to take three acro classes on Saturday? Can’t get enough of the musical hikes? Want to listen to every single Speakeasy? A premium pass makes that possible. Part of the Wanderlust magic is certainly the opportunity to try new things that you may not otherwise have had an opportunity to explore, like aerial and SUP. Because they require lots of additional equipment (and specific expertise! ), these activities are bonus activities to a regular Wanderlust festival ticket. But you guessed it—they’re included with a premium pass. You get not one, but TWO bonus activities, so you can feel free to try something you may never before thought possible. Now that you’ve been bitten by the Wanderlust bug, don’t worry that the bottom will drop out when you get home. With Wanderlust TV, you can continue to learn from and be inspired by top name teachers and talent, right from the comfort of your living room. A premium package includes access to one class on Wanderlust TV, to get you started. Allow yourself to sink into the Wanderlust experience and get the goddess treatment. After all those sweaty nights on your yoga mat driving home in the cold alone, you’ve earned it. Lisette Cheresson is a writer, storyteller, yoga teacher, and adventuress who is an avid vagabond, homechef, dirt-collector, and dreamer. When she’s not attempting to create pretty sentences or reading pretty sentences other people have created, it’s a safe bet that she’s either hopping a plane, dancing, cooking, or hiking. She received her Level II Reiki Attunement and attended a 4-day intensive discourse with the Dalai Lama in India, and received her RYT200 in Brooklyn. 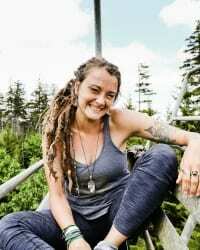 She is currently the Director of Content at Wanderlust Festival.